I teach the Research Skills module to Masters and PhD students in Computer Science at the University of Cambridge. I aim to improve their writing, reading, and presenting skills. 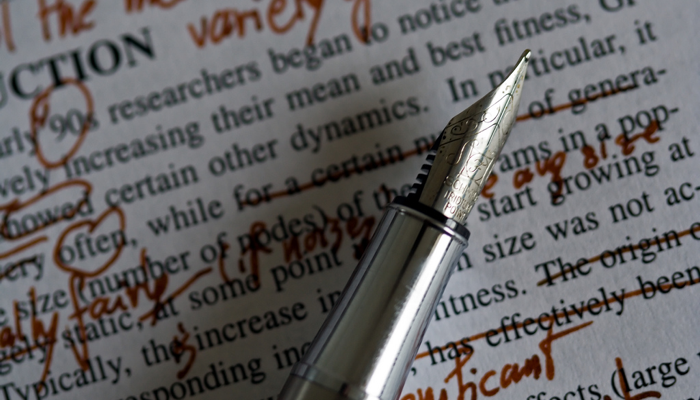 A major part of the course is the writing of scientific papers. But what is a scientific paper? A scientific paper is foremost a mechanism for communicating a scientific idea. A paper’s purpose is to convey ideas from one researcher to another. A paper should be written with this in mind: as an author, you are writing to convey an idea from your mind to your reader’s mind as accurately and effectively as possible. You must be both clear and precise. While the communication of ideas is a paper’s primary purpose, it also has secondary purposes. Human beings love stories. Some scientific papers are written as dull as ditchwater, but the best papers have an element of story to them. “Here is a problem. Previous solutions have not worked. My solution works. Here is the evidence.” Beyond this, every scientific paper forms part of bigger stories. It is part of the bigger story of your own research career. And it is part of the bigger story of science itself. Others will continue the story where you’ve left off. When writing a scientific paper, you should see it as part of a series of papers. You should (eventually) have a portfolio of papers around a theme or themes. Take the parallel of literature. When you read a good book, you want to find other books by the same author. Some will be better than others, some will be more popular, but you cannot predict which ones. Trying to write the “one paper to rule them all” is a futile exercise. JRR Tolkien has one great novel, but it took him decades to write. By contrast, Terry Pratchett has over 40 novels: his style and themes developed and matured as his career progressed, and each novel that he wrote taught him more about how to write a good novel. You are more likely to be successful in science if you publish several good papers than try for a single brilliant paper: emulate Pratchett rather than Tolkien. Advertising can teach us something about how to present a scientific paper. Adverts must catch your attention. Adverts must entice you to keep paying attention, so that you get the message. Adverts must tell you what this product, this shop, this company can do for you. A scientific paper is not an advert. However, parts of it act similarly. The title of a paper is of supreme importance. It, and the abstract, are your advert. There are thousands of papers out there. Many researchers will choose whether or not to read from the title alone. Does your title say just the right thing so that just the right researchers are enticed to read your paper? Those who go beyond the title will skim the abstract: does the abstract grab them enough that they’ll keep reading beyond it. They are your adverts. Make them work for you. A scientific paper also acts as an advertisement for your entire portfolio of research. It says “this is the sort of thing I do.” It entices people to find out more about your other work. It should draw the right people to communicate with you, to work with you, and to build on your research. If it is irrelevant, inept or incomprehensible they will not bother. You need to do research well and write it up so that it is readily comprehensible to those who will find it relevant. Previous Post: Could your child paint this? Next Post: For how long can we preserve Citizen Kane?